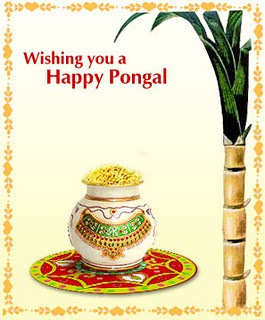 Have this 2010 1st festival bring happiness in your life.Wish you & your family a very Happy Pongal. May the blessings of the Sun God flood our lives. Red sugar cane and saffron aplenty, Flood of happiness to sweep our country. Rise, rise milk rice - bring smile to the face of the poor, so rise milk rice.HAPPY PONGAL..! !